The lectionary reading from Luke 15 offers up two of Jesus’ best known parables. They serve to answer Jesus’ critics who have taken to heart the adage “birds of a feather flock together.” Growing up many of us were told by our parents to be careful about who we chose to hang out with. Choose wrongly and you might get tagged as an incorrigible or worse. It’s clear that Jesus is hanging out with the wrong kind of people. Indeed, he’s been caught welcoming sinners. Worse, he’s eating with them. Before we get to the parables, which are themselves quite interesting, we should take note of the reference to Jesus’ eating partners. Since a meal, the Eucharist, stands at the heart of the Christian faith, this accusation should cause us to reflect on how we understand the Table and whom we welcome. Christian communities tend to fence the Table, inviting only those who are pre-approved to share in its bounty. Part of this comes from what I think is a misreading of Paul’s comment about eating and drinking in an unworthy manner (1 Cor.11:27-33). Nothing in Paul’s instructions for Table fellowship suggests excluding persons from the Table, unless they are members of the community who are acting in an unbecoming way. That is, they’re not sharing and they’re getting drunk. So getting back to Jesus’ own Table partners, they are not the kinds of people that a religious normally hangs out with. Jesus answers their critique by telling parables about sheep and coins that get lost and then get found, and the blessing that comes when the lost is found. The first parable concerns lost sheep. More specifically there is a shepherd who has ninety-nine sheep and loses one. This shepherd, we’re told. is so concerned about the lost sheep that he (most shepherds in that day were males) leaves behind the ninety-nine to look for the one lost sheep. No that is a grand gesture, but doesn’t the shepherd put the ninety-nine in danger by doing this? Wouldn’t it better to count the one lamb as lost so as not to lose any more sheep? Pastors often face the question of where to put their efforts. Should they focus on the flock they have or go after the lost lambs? What would Jesus say? Would he not want us to be involved in the world, seeking out those who are hurting? One might answer the question by saying that evangelism is important, but the rest of the things that churches get involved in aren’t of similar importance. Our job is to save souls not the world. But what is Jesus saying? At the very least it seems that Jesus wants us to be outwardly looking. Not only that, but we should celebrate when the lost are found. Richard Lischer notes that this methodology for church growth is rather inefficient. He writes: “Demographically based mission operations and virtual evangelism will fill up the building, but will such methods turn up the lost soul?” [Richard Lischer, Reading the Parables, p. 96). In Luke’s telling of the story, Jesus then moves on to the story of the lost coin. Once again the emphasis here is not efficiency or cost-effectiveness of the ministry of seeking out the lost. There is a woman, any woman, who if she loses a coin, even though she has nine other coins, will turn the house upside down to find that coin. Why would she do this? It’s only one coin. We’ve all lost things, and we will expend some energy in trying find them, but to what end? 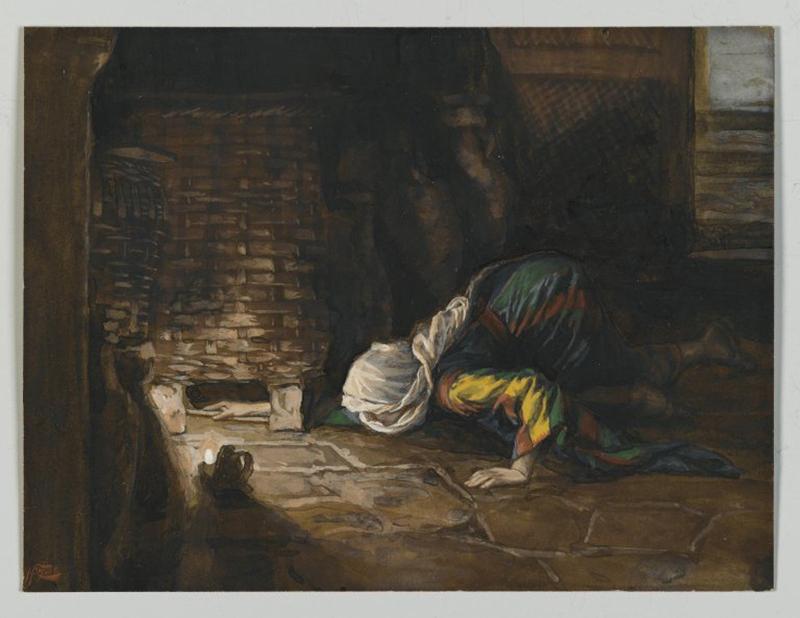 In this case the woman lights her lamp, sweeps the house, and continues doing this until she finds the lost coin. The parable doesn’t end there. It could end with the woman shouting out with joy, and most assuredly she is filled with joy, but she doesn’t stop there. No, she invites her friends over for a party to celebrate finding his lost coin. I may be reading something into the parable, but it would seem to me that she’s going to throw a party. If so, she’ll spend more on the party than she had in the coin that she lost. But then isn’t that the message of Jesus? Let’s be extravagant in our celebrations of God’s work of transformation. Richard Lischer writes of the two parables, suggesting that these two similitudes “depict a persistent search for something of relatively minor value that has been lost, and both end in a neighborhood party. Where each parable exceeds the ordinary is in the eruption of joy at the discovery of something as insignificant as one sheep in a hundred or one drachma in ten—or one soul who repents” [Reading the Parables, p. 97]. Speaking from out of a mainline Protestant community that struggles with evangelism (we prefer actions to words), it’s often easier to focus on what we have and fail to notice what is going on outside our doors. Evangelism doesn’t have to involve heavy handed efforts that guilt people into the kingdom. We don’t have to “scare the hell out” of them either. But we can share a word of grace to those who are in need of grace, even as we recognize our own need for a word of grace. My denomination takes as its mission statement the words: “We are Disciples of Christ, a movement for wholeness in a fragmented world. As part of the one body of Christ we welcome all to the Lord’s Table as God has welcomed us.” That would seem to reflect nicely Jesus’ own Table practice. He ate with all who would share a meal with him. He welcomed all, even sinners, to the Table. He did so not because “birds of a feather flock together,” but because he had a word of grace to offer them. In telling the parables in the way he does, he makes it clear that this ministry was not only his, but is a ministry that belongs to all who follow him. As Lischer points out there isn’t a “Good Shepherd” here or a “Good Housewife.” There is only a shepherd and a woman. We are those shepherds and those women, who drop all so as to seek out the one who is lost, the one whom Jesus values. As we attend to this parable what message does hold out to us? What is our calling? How does this calling influence the way in which we gather at the Table? I have embraced an Open Table. It’s not just because I think we need to be nice and hospitable. I have embraced an Open Table because I believe that by opening the Table up to all who will come, indeed, all whom we seek out, Jesus can meet them at the Table and in the course of meeting them at the Table, changing their lives. Sara Miles speaks of this possibility in her book Take This Bread. She writes of the first time she went to the Table at St. Gregory of Nyssa Episcopal Church in San Francisco. She describes how everyone was invited to the Table. She went and what happened next was a conversionary experience. I still can't explain my first communion. It made no sense. I was in tears and physically unbalanced: I felt as if I had just stepped off a curb or been knocked over, painlessly, from behind. The disconnect between what I thought was happening— I was eating a piece of bread; what I heard someone else say was happening— the piece of bread was the “body” of “Christ,” a patently untrue or at best metaphorical statement; and what I knew was happening— God, named “Christ” or “Jesus,” was real, and in my mouth— utterly short-circuited my ability to do anything but cry. [Take This Bread: A Radical Conversion (pp. 58-59). Random House Publishing Group. Kindle Edition]. The Table is a place of celebration. 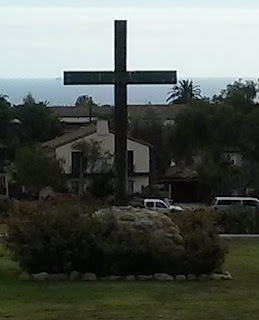 It is a place where Jesus is present. As Miles points out, when she tasted the bread and the wine “Jesus happened to me.” It is a place where the lost are found, and therefore we all share in the joy and celebrate with thanksgiving. Picture attribution: Tissot, James Jacques Joseph, 1836-1902. Lost Drachma, from Art in the Christian Tradition, a project of the Vanderbilt Divinity Library, Nashville, TN. http://diglib.library.vanderbilt.edu/act-imagelink.pl?RC=54791 [retrieved September 5, 2016]. Original source: http://commons.wikimedia.org/wiki/File:Brooklyn_Museum_-_The_Lost_Drachma_(La_drachme_perdue)_-_James_Tissot_-_overall.jpg.